The WS1SM team will operate from Spring Point Lighthouse for the 2018 International Lighthouse and Lightship Weekend (ILLW), which takes place August 18-19th. ILLW, which first took place in 1998, has grown to become the largest lighthouse activity weekend, with over 500 lighthouses in 40 different countries being activated last year. For more information about ILLW, click here. The WS1SM team will participate in their 8th ARRL Field Day at Wassamki Springs Campground, on the weekend of June 23-24. Since 1933, Field Day has been a friendly competition that encourages hams to operate "in the field," as a way to practice and demonstrate their ability to provide effective communications without the need of commercial power or well-equipped home stations. 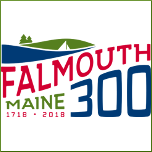 Amateur Radio will be a part of Falmouth's 300th Anniversary Celebration, with a Special Event station operating from Falmouth Fest. Joe Blinick K1JB and Rick Fickett K1OT will be setting up the station and invite club members to participate during the event, and to operate using the special event call sign K1F during the 2 week period that it will be available. For more information, please contact Joe at: k1jb@maine.rr.com. SKYWARN® volunteers help keep their local communities safe by providing timely and accurate reports of severe weather to the National Weather Service. 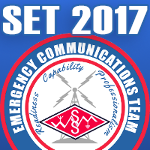 The WS1SM team will participate in their first Winter Field Day at the Cumberland County EMA, on the weekend of January 27-28. The purpose of Winter Field Day is to foster Ham camaraderie, field operation, emergency operating preparedness, and just plain on the air, outdoor fun in the midst of winter! The public is welcome to attend, and those interested in participating may inquire at any upcoming meeting between now and January 27th. Join us Thursday, December 13th, as we'll take a look at the digital voice protocol DMR, and explore the DMR-MARC Amateur Radio Network, which expands the range of simple handheld radios to regional, national, and even worldwide coverage. We'll take a look at how to get started, including getting registered, programming your radio, and some of the terminology involved. Click here to download our PowerPoint presentation. Join us Thursday, November 15th, from 7pm-9pm, at the Cumberland County EMA Bunker, as we'll have a special meeting to discuss UHF repeater progress, and try out some food options to be used during Winter Field Day. Join us Thursday, November 8th, from 7pm-9pm, at the Cumberland County EMA Bunker, as we'll begin planning for Winter Field Day, which takes place January 26-27, 2019. We'll discuss number of transmitters, antennas, equipment needed, food, and overnight stays. Join us Thursday, October 11th, from 7pm-9pm, at the Cumberland County EMA Bunker, as we'll talk about the upcoming Maine Simulated Emergency Test, which takes place Saturday, October 27th. Our basic plan is to activate as many Regional Shelters as possible, and also relay messages to the National Weather Service, as well as adjacent counties. Join us Thursday, September 13th, from 7pm-9pm, at the Cumberland County EMA Bunker, as we'll have our Annual Business Meeting. Among the topics to be discussed will be updates/discussion on the repeater and Packet installations, the upcoming Simulated Emergency Test (SET), and more. There will also be officer elections: The present slate contains one name for each position, though nominations will be accepted from the floor. President: Rory KB1PLY, Vice President: CJ W1CJC, Secretary: Pete W KC1DFO, and Treasurer: Pete H KC1HBM. Join us Thursday, August 9th, from 7pm-9pm, at the Cumberland County EMA Bunker, as we'll be discussing our plans for operating during International Lighthouse & Lightship Weekend (ILLW) from Spring Point Ledge Lighthouse, as well as our participation in a Red Cross / CCEMA Shelter Exercise at Westbrook High School. Join us Thursday, July 12th, from 7pm-9pm, at the Cumberland County EMA Bunker, as Frank KR1ZAN will lead a review of our 2018 Field Day efforts. We operated 24 hours as 3A, on battery power, from Wassamki Springs Campground, on the weekend of June 23-24. Join us Thursday, June 14th, from 7pm-9pm, for our first meeting of the year at Wassamki Springs Campground! The topic for the evening will be Field Day preparation, as we'll take a look at logistics, purchases, and how to best maximize bonus points. If the weather cooperates, we'll also survey the Field Day site for the best antenna locations. Come prepared with your suggestions and ideas about the event. Join us Thursday, May 10th, from 7pm-9pm, at the CCEMA Bunker, located at 22 High Street, in Windham, as we'll be discussing the software program FLDIGI, which can be used with a sound card interface to operate many popular digital modes, including Feld-Hell, MFSK16, PSK31, RTTY, and more. Please bring any questions you may have about specific modes... what they sound like, where to find them on the bands, etc. Join us Thursday, April 12th, from 7pm-9pm, at the CCEMA Bunker, located at 22 High Street, in Windham, as we'll take a look at the upcoming Maine 2 Meter FM Simplex Challenge contest, which takes place April 15th. Because club members' logs count toward the club competition, we'll also discuss how we can work together to maximize multipliers and points. Join us Thursday, March 15th, from 7pm-9pm, at the CCEMA Bunker, located at 22 High Street, in Windham, as we'll be discussing event planning for the next few months, including on-air activities, meeting topics, and EmComm workshops. Join us Thursday, February 8th, from 7pm-9pm, at the CCEMA Bunker, located at 22 High Street, in Windham, as we'll be doing a review of Winter Field Day, and discussing some of the things we learned in the 24-hour contest, that we can apply to both EmComm events and future field activities. Join us Thursday, January 11th, from 7pm-9pm, at the CCEMA Bunker, located at 22 High Street, in Windham, as we'll be discussing plans for our participation in the upcoming Winter Field Day, including logistics, availability of operators, equipment, food, and more! 2018 Winter Field Day takes place the weekend of January 27-28. 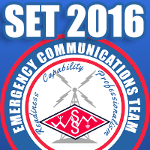 The WSSM-ECT will participate in it's third annual Maine Simulated Emergency Test on Saturday, October 28th, from 8am-12pm, and also the following Saturday, November 4th, from 8am - 1pm, for the New Hampshire SET. The SET is a nationwide excercise in disaster response and emergency communication, in which volunteers respond to a mock emergency or disaster. Get an introduction to various aspects of Amateur Radio, including basic radio and electronics theory, FCC rules and regulations, and details on how to earn your first Amateur Radio License during our Introduction to Amateur Radio course, offered by Saco - Old Orchard Beach Adult Education. The course takes place Thursday, September 21st, from 7pm-9pm. Pre-registration is required. Click here for more information. The WS1SM team will operate from Portland Breakwater Light (also known as Bug Light) during this year's International Lighthouse and Lightship Weekend (ILLW). The current lighthouse was built in 1875, and is constructed of curved cast iron plate. It was designed by Thomas Walter, who is best known as the architect of the East and West wings of the U.S. Capitol. ILLW is an annual event which sees over 450 lighthouses activated worldwide by ham radio operators. The WS1SM team will participate in their 7th ARRL Field Day at Wassamki Springs Campground, on the weekend of June 24-25. Since 1933, Field Day has been a friendly competition that encourages hams to operate "in the field," as a way to practice and demonstrate their ability to provide effective communications without the need of commercial power or well-equipped home stations. The public is welcome to attend, and those interested in participating may inquire at any upcoming meeting between now and June. Visit our booth at this year's Maine State ARRL Convention, which will take place March 31st - April 1st, at the Ramada Inn, in Lewiston, ME. This is a great opportunity to get together, take part in the seminars and exam sessions, and meet friends who you've spoken with on the air. There will also be vendors on hand, as well as a radio and electronics flea market. The Ramada Inn & Convention Center is located at 490 Pleasant Street, in Lewiston, ME - just off Exit 80 of the Maine Turnpike. Join us Thursday, December 14th, from 7pm-9pm, at the CCEMA Bunker, located at 22 High Street, in Windham, as Eric Emery KC1HJK will lead us on a discussion about D-STAR, and introduce the various modes and applications available. Eric will also tell us about how to register with the D-STAR network, and demonstrate how to get on the network without the need for a repeater nearby. For more information about D-STAR, please click here to explore our D-STAR introduction page. Eric was kind enough to share some helpful documents, which are available for download at the bottom of the D-STAR page. Join us Thursday, November 9th, from 7pm-9pm, at the CCEMA Bunker, located at 22 High Street, in Windham, as we'll be building 10m antennas, using only coax. Dave Joseph W1AMX will explain the science behind this design, and help us along the way. If you're interested in building one yourself, it's recommended to bring about 30' of coax. Join us this Thursday, October 12th, from 7pm-9pm, at the CCEMA Bunker, located at 22 High Street, in Windham. We'll be discussing the upcoming 10 meter antenna project, the possibility of taking part in Winter Field Day, and staffing for the Maine and NH Simulated Emergency Tests (SET's), coming up on Saturday, October 28th and Saturday, November 4th. Join us Thursday, September 14th, from 7pm-9pm, at the Cumberland County EMA Bunker, located at 22 High Street, in Windham, as we'll have our Annual Business Meeting, which will include officer elections and planning for the year ahead. Join us Thursday, August 10th, from 7pm-9pm, at the CCEMA Bunker, in Windham. Our topic for the evening is "The Outernet's Ham Radio Connection", presented by Frank Krizan, KR1ZAN. Most of us take the internet for granted, but, around 4.3 billion people around the world don't have access to the internet. Recognizing an opportunity, entrepreneurs are seeking ways to provide a solution. One of those is the Outernet (www.outernet.is). The Outernet makes use of the existing world-wide satellite coverage offered by INMARSAT satellites. Frank will describe the Outernet, what you need to receive the Outernet signals and the amateur radio (APRS) "channel" that's been included. You'll learn about resources and how to send messages via the Outernet. A native Texan, Frank was first licensed as a Novice in 1961. He enjoys operating, DXing, contesting and trying new concepts in Ham Radio. Frank, and his lovely bride, Nancy, K5NCK, live in Garland, but, spend their summers in Maine. Join us Thursday, June 8th, from 7pm-9pm, at the Cumberland County EMA Bunker, located at 22 High Street, in Windham, as we'll discuss upcoming summer activities, including communications exercises and the annual International Lighthouse & Lightship Weekend, which takes place on the weekend of August 19-20. Join us Thursday, June 8th, from 7pm-9pm, at the Cumberland County EMA Bunker, located at 22 High Street, in Windham, as we'll discuss preparations for Field Day, including assigning tasks, planning setup, and how to maximize bonus points. 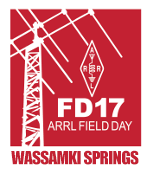 2017 Field Day will take place the weekend of June 24-25, at Wassamki Springs Campground, located at 56 Saco Street, in Scarborough, ME. Join us Thursday, May 11th, from 7pm-9pm, at the Cumberland County EMA Bunker, located at 22 High Street, in Windham, as Frank Allen W1FRA, will describe the manufacturing process of capacitors, especially Tantalum Capacitors, which he has many years experience with. Tantalum is known to have high capacitance per volume, has lower equivalent series resistance, and has a higher operating temperature than most other electrolytic capacitors. Some of the capacitors Frank has been involved with making, have been used in spacecraft, including OSCAR satellites, and the Space Shuttle. Join us Thursday, April 13th, from 7pm-9pm, at the Cumberland County EMA Bunker, located at 22 High Street, in Windham, as we'll watch a short film called "The Final Signals," which is about the radio operators on Titanic. Frank W1FRA, will also make a presentation about how to get started with FEMA training online. Join us Thursday, March 8th, from 7pm-9pm, at the Cumberland County EMA Bunker, located at 22 High Street, in Windham, as we'll have a going away party for Ryan Michaelson KB1YTR, who will be moving to Minnesota at the end of March. Ryan has been one of our most active members, taking part in numerous radio adventures with the club, and he played a big role in developing the WSSM Emergency Communications Team. Thanks for all your support, Ryan! Join us Thursday, February 16th, from 7pm-9pm, at the Cumberland County EMA Bunker, located at 22 High Street, in Windham. Ryan Michaelson KB1YTR, will present an introduction to Winlink Express, which is a global radio email client. For more information about Winlink Express, or to download the program, please click here. Join us Thursday, January 13th, from 7pm-9pm, at the Cumberland County EMA Bunker, located at 22 High Street, in Windham, as we'll look back at 2016 and discuss some of the goals for the year ahead. Join us Thursday, December 8th, from 7pm-9pm at the Cumberland County EMA Bunker, located at 22 High Street, in Windham, for a Holiday Gathering & Pot Luck. If you are able to, we encourage you to bring your favorite dish or treat to share. The WSSM-ECT will participate in it's second annual Simulated Emergency Test on Saturday, October 22nd, from 8am-12pm. The SET is a nationwide excercise in disaster response and emergency communication, in which volunteers respond to a mock emergency or disaster. Our team will attempt to establish communications with each of the FEMA designated shelters throughout the county, and relay reports to and from the Cumberland County EMA, National Weather Service, Maine Emergency Management, and other EMCOMM groups throughout the state. 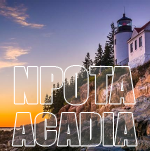 The WS1SM team will activate Acadia National Park (NP-01) for National Parks on the Air (NPOTA), celebrating the 100th Anniversary of the founding of the National Parks System, as well as the 100th Anniversary of Acadia. The team will operate from various locations within the park. NPOTA is a year-long on-air activity promoted by the American Radio Relay League. To find out more, please click here. As of the beginning of September, there have been over 11,000 activations from National Parks, monuments, and historic parks around the country. The WS1SM team will activate another Maine lighthouse for this year's International Lighthouse and Lightship Weekend (ILLW) on August 20-21st. We plan to operate mixed HF on battery power, as well as some VHF. International Lighthouse and Lightship Weekend is an annual amateur radio activity started in Scotland by members of the Ayr Amateur Radio Group. It evolved from the Scottish Northern Lighthouses Award Weekend into an international event in 1998. This year, nearly 450 lighthouses and lightships, in 85 different countries are expected to participate. The WS1SM team will participate in their 6th ARRL Field Day at Wassamki Springs Campground, on the weekend of June 25-26. Since 1933, Field Day has been a friendly competition that encourages hams to operate "in the field," as a way to practice and demonstrate their ability to provide effective communications without the need of commercial power or well-equipped home stations. The WS1SM team will provide communications for Walk MS: Portland, on Saturday, April 23rd, in Portland. Volunteers will meet at the Portland Expo Center (239 Park Avenue, Portland, ME) at 7:00am and the walk will begin at 9:00am. Approximately 6 miles in length, Walk MS: Portland is comprised of teams of walkers raising funds to help people who have MS, and their families, through MS education, support, advocacy, services, and research. For more information, please click here. 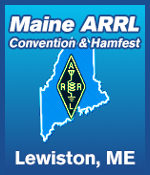 Visit our booth at this year's Maine State ARRL Convention, which will take place March 25-26 at the Ramada Inn, in Lewiston, ME. The Ramada Inn & Convention Center is located at 490 Pleasant Street, in Lewiston, ME - just off Exit 80 of the Maine Turnpike. Click here for more details. 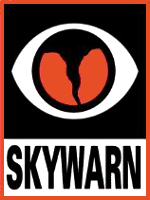 The concept of SKYWARN® was developed in the 1960's as a way to promote a cooperative effort between the National Weather Service and local communities. It’s a volunteer program with nearly 290,000 trained severe weather spotters across the country. These volunteers help keep their local communities safe by providing timely and accurate reports of severe weather to the National Weather Service. To ensure a network of knowledgeable volunteers and accurate reporting, those who are interested in becoming spotters are asked to attend a training session provided by a local office of the National Weather Service. SKYWARN® training is provided free of charge. Join us the morning of Saturday, January 30th, as we'll setup an amateur radio display and live demonstration during the Emergency Preparedness Fair, which will take place from 10:00am - 12:00pm at the Church of Latter Day Saints, on 29 Ocean House Road, in Cape Elizabeth, ME. Other presentations will include emergency power, document protection, and more! Join us Thursday, December 8th, from 7pm-9pm, at the Cumberland County EMA Bunker, located at 22 High Street, in Windham, for a Holiday Gathering & Pot Luck. If you are able to, we encourage you to bring your favorite dish or treat to share. Join us Thursday, November 10, from 7pm-9pm, at the Cumberland County EMA Bunker, located at 22 High Street, in Windham, ME. Charlie W1CPS, will demonstrate some basic and intermediate knot tying techniques, that are helpful in many amateur radio scenarios, including securing wire antennas to trees, masts, and other structures. Join us Thursday, October 13th, from 7pm-9pm, at the Cumberland County EMA Bunker, located at 22 High Street, in Windham, ME. We'll be finalizing our plans for this year's Simulated Emergency Test (SET), which takes place on Saturday, October 22nd, from 8AM-12PM. Join us Thursday, September 8th, from 7pm-9pm, at Wassamki Springs Campground, as we'll hold our annual business meeting, complete with officer elections. Frank K5HS was kind enough to send out an email listing our officer nominees. These include: President: Frank Allen (Incumbent), CJ Carlsson, and Tim Watson. Vice-President: Ronello Vaughn (Incumbent). Secretary: Ryan Michaelson. Treasurer: Charles Shepard. Join us Thursday, August 11th, from 7pm-9pm, at Wassamki Springs Campground, as we'll recap our successful communications test between NWS Gray and the CCEMA Bunker, in Windham. We'll also discuss some upcoming events, including the ILLW activation of Portland Head Light, and an NPOTA activation in early fall. August is also the final meeting before September's Annual Business Meeting, so we'll begin taking nominations for officers. Join us Thursday, July 14th, from 7pm-9pm, at Wassamki Springs Campground, as Ryan KB1YTR, Tim KB1HNZ, and Frank W1FRA, describe the recent station upgrades to the ham station at the National Weather Service, in Gray, and discuss best practices for using the the new capabilities. Join us Thursday, June 9th, from 7pm-9pm, for our first meeting of the year at Wassamki Springs Campground! The topic for the evening will be Field Day preparation, as we'll take a look at logistics, purchases, and how to best maximize bonus points. Join us Thursday, May 12th, from 7pm-9pm, at the Gorham Recreation Department, as special guest, Paul Alberghini W1IMD, will give a presentation about the challenges of building his impressive HF station on the site of a former AT&T Long Lines tower in Southwestern Maine. Join us Thursday, April 14th, from 7pm-9pm, at the Gorham Recreation Department, as we'll have a conversation about Amateur Radio on the International Space Station. This will be a great opportunity to share your own experiences of making contacts with the ISS, or if you never have, its a good way to learn about the techniques involved. This topic also coincides with a SSTV Special Event onboard the ISS, which is taking place between April 11-14th. Join us this Thursday, March 10th, from 7pm-9pm, at the Gorham Recreation Department, as we'll take a look at Clublog.org, and discuss how the powerful reporting features of the tool can be helpful to the serious DXer or even a casual operator. Join us Thursday, February 11th, from 7pm-9pm, at the Gorham Recreation Department, as we'll answer the question "Why use JT65?" and also take a closer look at the propagation analysis program VOACAP. Join us Thursday, January 14th, from 7pm-9pm, at the Gorham Recreation Department, as we'll discuss a proposed amendment to the WSSM By-Laws, which aims to establish a new membership category for those interested in emergency communications. We'll also look over a constitution that will formally establish the WSSM Emergency Communications Team. Join us Thursday, December 10th, from 7pm-9pm, at the Gorham Recreation Department, as we'll discuss our progress with Cumberland County EMA, and talk about some of our next steps with the project and goals for 2016..
SKYWARN® Recognition Day is a 24-hour on-air event which sees participation from nearly every NWS and SKYWARN® radio club in the US and Canada, as well as unaffiliated operators from around the world. Simply exchange signal report, name, and current temperature, and see how many NWS Forecast Offices or SKYWARN stations you can work. All modes and bands are eligible. Join us Saturday, December 5th, for the annual SKYWARN® Strategy meeting, where we'll reflect on 2015 and discuss updates, needs, and strategies for the year ahead. Click here to download the presentation from this year's meeting. The WS1SM team will provide communications for the MS Journey of Hope Walk, on Saturday, September 19th, in South Portland. Volunteers will meet at the Boys & Girls Club of Southern Maine (169 Broadway, in South Portland) at 8:00am and the walk will begin at 10:00am. Approximately 3 miles in length, the MS Journey of Hope is comprised of teams of walkers raising funds to support the services of Comprehensive MS Care Centers who are partners in MS Care. For more information, please click here. The WS1SM team will activate Cape Neddick Lighthouse for this year's International Lighthouse and Lightship Weekend (ILLW) on August 16th. We plan to operate mixed HF on battery power, as well as some VHF. The Wireless Society of Southern Maine is celebrating our 5th Anniversary with special event operations using the call sign W1V, between July 13-27th! The WS1SM team will participate in their 5th ARRL Field Day at Wassamki Springs Campground, on the weekend of June 27-28. Since 1933, Field Day has been a friendly competition that encourages hams to operate "in the field," as a way to practice and demonstrate their ability to provide effective communications without the need of commercial power or well-equipped home stations. Join us the evening of Thursday, May thth, from 7-9PM as WSSM members teach an Introduction to Ham Radio class at the Wells High School. The course is designed to introduce various aspects of the hobby, as well as basic radio theory, and how students can persue earning their first Amateur Radio License. Preregistration is required. Join us Thursday, November 12th, from 7pm-9pm, at the Gorham Recreation Department, as we'll discuss the program FL Digi in detail, including an intro to the various digital modes that are available as well as how to set up macros, and what you need to get started. Join us Thursday, October 8th, from 7pm-9pm, at Wassamki Springs Campground, as we'll discuss the possibility of providing communications support for Cumberland County EMA. The discussion will include our potential role in the upcoming SET, organizational and station improvements that will be needed, and long term goals. Join us Thursday, from 7pm-9pm, at Wassamki Springs Campground, as Frank Krizan K5HS, will provide an overview of QIKcom-2, an upcoming amateur radio APRS satellite, which includes a Touch Tone (DTMF) call sign and grid locator uplink. QIKcom-2 is slated for an early 2016 launch. It will be useful for Ham Radio satellite demos and portable messaging using simple 2 meter FM radios. The September meeting is also our annual official meeting, which includes officer elections. Join us Thursday, June 11th, as we as we'll watch a film about England's falgship amateur radio celebration of the 2012 London Olympic Games and Paralympic Games, organized by the Cray Valley Radio Society. 2O12L was located in the Royal Borough of Greenwich, in South East London, close to three Olympic and Paralympic venues. 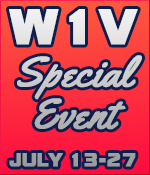 Join us Thursday, July 9th, as we prepare for our W1V Special Event activities, which begin July 13th. During two weeks, club members will take turns activating the call sign W1V and we are offering a special certificate with endorsements for contacts on 10 or more different band slots for GOLD, 5-9 different band slots for SILVER, and 1-4 different band slots for BRONZE. Club members are invited to sign up for their preferred time, band, and mode, on a shared document. We'll take a closer look at this during the meeting, and talk about some ideas to make this a fun event for everyone. Join us Thursday, June 11th, as we prepare for our 5th annual Field Day, which will take place June 27-28th at Wassamki Springs Campground, in Scarborough. Among the topics that will be discussed are best practices, including band choice, light scheduling, and how to maximize bonus points. Last year, the WSSM team captured the top spot in Maine, and we're looking forward to another great Field Day. Join the fun, and lets do it again! Join us the evening of Thursday, May thth, from 7-9PM as WSSM members teach an Introduction to Ham Radio class at the Wells High School. The course is designed to introduce various as pects of the hobby, as well as basic radio theory, and how students can persue earning their first Amateur Radio License. Preregistration is required. Join us Thursday, April 9th, at the Gorham Recreation Department, as we'll take a closer look at the Automatic Packet Reporting System (APRS), by exploring its capabilities and how to get started. APRS has evolved since the late 1980's into one of the most popular digital communications systems in the world. Communications range from local RF, to worldwide via the APRS-IS Internet backbone. Its used for Announcements, Bulletins, Messages, Alerts, Weather, Position-reporting, and more! Join us Thursday, March 12th, at the Gorham Recreation Department, as we'll take a look at the digital voice protocol DMR, and explore the DMR-MARC Amateur Radio Network, which expands the range of simple handheld radios to regional, national, and even worldwide coverage. We'll take a look at how to get started, including getting registered, programming your radio, and some of the terminology involved. Join us Thursday, February 12th, at the Gorham Recreation Department, as we'll take a look at the upcoming Maine 2 Meter FM Simplex Challenge contest coming up this Sunday. Since the club competition was introduced last year, we'll discuss how we can work together to maximize multipliers and points. We'll also talk about recommended equipment and logging suggestions. If we have time, we'll also take a look at a video provided by Dave KB1FGF, of a classic Maine field day. Join us Thursday, January 8th, for our first meeting of the year, as we'll watch a video of Bill Hays, AE4QL's, world-class antenna and transmission line demonstration, Standing up for Standing Waves. The meeting will take place in the Multi Purpose Room at the Gorham Recreation Department, (75 South Street, Gorham) from 7-9PM. 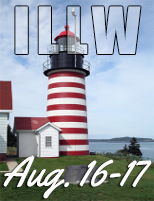 The WS1SM team will activate West Quoddy Head Light for this year's International Lighthouse and Lightship Weekend (ILLW) on August 16-17. We plan to operate mixed HF on battery power all weekend, as well as some VHF. International Lighthouse and Lighthouse Weekend is an annual amateur radio activity started in Scotland by members of the Ayr Amateur Radio Group. It evolved from the Scottish Northern Lighthouses Award Weekend into an international event in 1998. This year, nearly 450 lighthouses and lightships, in 85 different countries are expected to participate. West Quoddy Head Light will have the ILLW designator US0041 during the event. The WS1SM team will venture to Seguin Island to participate in the Expedition category in this year's Islands on the Air (IOTA) Contest. We plan to operate mixed HF on battery power all day on Saturday, July 26th. IOTA is an international contest promoting Amateur Radio activity from the world's islands. Anyone wishing to participate, please click here to send a message. There is limited availability and a $35 fee to cover transportation to and from the island. The WS1SM team will participate in their 4th ARRL Field Day at Wassamki Springs Campground, on the weekend of June 28-29. 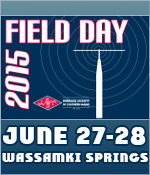 Since 1933, Field Day has been a friendly competition that encourages hams to operate "in the field," as a way to practice and demonstrate their ability to provide effective communications without the need of commercial power or well-equipped home stations. The public is welcome to attend, and those interested in participating may inquire at any upcoming meeting between now and June. Join us the evening of Tuesday, May 6th, from 7-9PM as WSSM members teach an Introduction to Ham Radio class at the Wells High School. The course is designed to introduce various aspects of the hobby, as well as basic radio theory, and how students can persue earning their first Amateur Radio License. Preregistration is required. Join us Thursday, December 11th, as we'll take a closer look at Amateur Radio Direction Finding (ARDF), as we'll watch an ARVN video about the 2006 USA ARDF Championships, which brought International-style Amateur Radio Direction Finding to the U.S.
For more information about ARDF, please click here to visit Homing In. Join us Thursday, November 13th, as Ryan Michaelson KB1YTR, gives us an overview of SDR# (SDR Sharp) on Windows, and SDR Touch on Android. Both are open source softwares that make use of a USB based radio module. The meeting will take place in the Multi Purpose Room at the Gorham Recreation Department, (75 South Street, Gorham) from 7-9PM. For more information or to download SDR# please click here. Join us Thursday, October 9th, for our first meeting of the Fall/Winter Season at the Gorham Recreation Department. We'll take a look at HamSphere, which is a VoIP based Amateur Radio simulation software, which allows users, whether licensed or unlicensed, to communicate with one another using a "simulated ionosphere." For more information or to download HamSphere, please click here. The meeting will take place from 7PM-9PM, in the Multi-Purpose Room at the Gorham Rec. Department. The deadline for dues for the upcoming year was the end of September. Please check the Members section of the website to see if you're up to date. Don Fraser, WA9WWS, of Colorado Springs, CO, will present a program entitled “Extending the Reach of Local Repeaters and Nets using EchoLink and IRLP” on Thursday, September 11. Don’s presentation will discuss current implementation techniques for EchoLink and IRLP, including the use of the Raspberry Pi, the credit card sized, single board computer that has become the heart of many amateur radio project designs. Don retired from Hewlett-Packard in Colorado in 2010 and is a retired officer of the U. S. Air Force Reserve. He has been licensed since 1969 and simultaneously held the Novice call of WN9WWS and the Technician Call of WA9WWS, and, is now an Extra Class operator. Don serves on the Board of the Pikes Peak FM Association, is a member of the Hammin’ Sams RV Club in Colorado Springs and was recently elected as President of the Winnebago-Itasca Travelers Amateur Radio Club (WIT RADIO). The meeting will take place in the Banquet Hall at Wassamki Springs Campground, 56 Saco St, Scarborough, from 7 to 9 p.m.
Join us Thursday, August 14th, as Frank Krizan KR1ZAN and Steve McGrath N1EOE, present a slideshow and share their experiences duting the recent ARRL National Centennial Convention, which took place last month at the Connecticut Convention Center, in Hartford. The Convention, which celebrates the 100th Anniversary of the ARRL, featured special programs, seminars, and an array of vendors and guests from around the world. Join us oin us Thursday, July 10th, as we'll take a look at the available signal sources that help Hams determine if propagation paths are open from one point to another. The presentation will include a basic introduction as well as resources that are available to the beginner and experienced operator alike. Following the presentation, by Frank KR1ZAN, a short discussion will allow participants to describe their personal experiences with various beacon systems. On the 12th of June, we'll be working out the final details for this year's Field Day, which takes place the weekend of June 28-29. We'll assign tasks and discuss ways to earn more bonus points. he meeting will begin at 7PM in the Banquet Hall at Wassamki Springs Campground. See you there! Join us Thursday, May 8th for our first meeting of the year at Wassamki Springs Campground. We'll talk about preparations for Field Day, including how best to maximize bonus points. If the weather cooperates, we'll also survey the Field Day site for the best antenna locations. Come prepared with your suggestions and ideas about the event. The meeting will begin at 7PM in the Banquet Hall. See you there! Join us Thursday at the Gorham Recreation Department, as we'll take a look at some of the tools used to forecast propagation on both HF and VHF, including VOACAP (Voice of America's Coverage Analysis Program), which is a comprehensive ionospheric communications analysis software, and William Hepburne's Tropospheric Ducting Forecast, which uses diagrams similar to weather maps to show regions where tropospheric ducting is likely to occur. The meeting will take place from 7PM-9PM, in the Fish Bowl room at the Gorham Rec. Department. Join us Thursday, March 13th, at the Gorham Recreation Department, for Movie Night. We'll be watching a film about the famous A52A DXPedition to Bhutan which took place in 2000. Directed by, James Brooks, 9V1YC, the film introduces you to a nation and a people rarely seen by the outside world. Experience what its actually like to be behind the scenes at one of the world's ultimate destinations with some of the best operators ever assembled. Join us Thursday, February 13th, at the Gorham Recreation Department, for Movie Night. We'll be watching a film about the famous A52A DXPedition to Bhutan which took place in 2000. Directed by, James Brooks, 9V1YC, the film introduces you to a nation and a people rarely seen by the outside world. Experience what its actually like to be behind the scenes at one of the world's ultimate destinations with some of the best operators ever assembled. Join us Thursday, January 9th, at the Gorham Recreation Department, as we'll take a look at the upcoming Maine 2 Meter FM Simplex Challenge contest coming up in February. Because this is the first year of the club competition, we'll discuss how we can work together to maximize multipliers and points. We'll also talk about recommended equipment and logging suggestions. The WS1SM VE team will conduct an exam session on Friday, September 27th, from 7PM-9PM in the Banquet Hall at Wassamki Springs Campground, located at 56 Saco Street, in Scarborough. There is a $15.00 fee to take the exam. Walk-ins are welcome. The WS1SM team is planning a Summits on the Air (SOTA) expedition to Douglas Mountain, in Standish, ME, on Sunday, September 22nd. We'll be active on VHF and HF. Check the SOTA Watch and DX Summit websites for frequencies and spots during the event. Operating times are expected to be between 1200-2100 UTC. Join us on Saturday, September 21st for the second annual Saco Emergency Preparedness Fair. We'll setup a table display and demonstrate amateur radio to the public. The Fair will take place from 1-4 PM at the Church of Jesus Christ of Latter-Day Saints, located on 15 Smith Lane, in Saco. Special thanks to Paul Courchene KJ6JBH, for inviting us. The WS1SM team will activate Pemaquid Lighthouse for International Lighthouse and Lightship Weekend, on Sunday, August 18th from 9AM - Dusk. ILLW is an International event designed to promote public awareness of lighthouses and lightships and their need for preservation and restoration, and at the same time to promote amateur radio and to foster International goodwill. The WS1SM team will participate in their 3rd ARRL Field Day at Wassamki Springs Campground, on the weekend of June 22-23. Since 1933, Field Day has been a friendly competition that encourages hams to operate "in the field," as a way to practice and demonstrate their ability to provide effective communications without the need of commercial power or well-equipped home stations. Join us the evening of Thursday, May 2nd, from 6-9PM as WSSM members teach an Introduction to Ham Radio class at the Old Orchard Beach High School. The course is designed to introduce various aspects of the hobby, as well as basic radio theory, and how students can persue earning their first Amateur Radio License. Preregistration is required. The WS1SM team is planning a Summits on the Air (SOTA) expedition to Mt. Agamenticus, in York, ME, on April 28th. We'll be active on VHF and HF. Check the SOTA Watch and DX Summit websites for frequencies and spots during the event. Operating times are expected to be between 1200-2100 UTC. Join us Thursday, December 12th, at the Gorham Recreation Department, as we'll take a look at the Art of QSL'ing. Our program will cover the purpose and history of QSL'ing, the essential information to include on a QSL card, basic design, and the methods of sending and receiving QSLs, including direct mail, QSL bureaus, managers etc. We'll also have show and tell, so you are encouraged to bring along an example of your own. Join us Thursday, November 14th, at the Gorham Recreation Department, as we'll take a look at logging software, and contest logging programs, such as N1MM, and N3FJP's Amateur Contact Log and contest-specific programs. We'll go into detail as to how to use the programs to keep an ongoing log for your shack, as well as how to download, setup, and edit a contest log. The final phase is to demonstrate what can be done with this electronic log once its generated. The meeting will take place from 7PM-9PM, in the Multi Purpose room at the Gorham Rec. Department. Join us Thursday, October 10th, at the Gorham Recreation Department, as Ryan Michaelson KB1YTR, will demonstrate how to program an amateur radio using a free, open source software, called CHIRP. The software supports a large number of manufacturers and models, and also provides a way to interface with multiple data sources and formats. 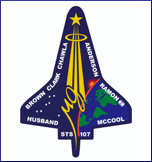 2013 marks 10 years since the Space Shuttle Columbia's disastrous return to earth on February 1, 2003. The Columbia and its crew were lost with debris scattered across northeastern parts of Texas into Louisiana as the Shuttle broke up during re-entry. Many radio amateurs assisted in the recovery effort in addition to hundreds of other volunteers. Frank Krizan, KR1ZAN, will give us an overview of the recovery effort that Nancy, K5NCK, and he took part in. Frank will present a program at the September 12th WSSM meeting to be held at 7 p.m. in the Banquet Hall at Wassamki Springs Campground. This will also be the Club's Annual Meeting, which includes the election of officers for 2014. Join us Thursday, June 13th, for our first meeting of the year at Wassamki Springs Campground. We'll talk about preparations for Field Day, including how best to maximize bonus points, light scheduling and logistics. Charlie W1CPS mentioned that the Hillock Family at Wassamki Springs Campground will allow us to use their facility again this year. Come prepared with your suggestions and ideas about the event. The meeting will begin at 7PM in the Banquet Hall. See you there! Join us Thursday, May 9th, as we take a look at how an oscilloscope can be used in the ham shack. The oscilloscope is a type of electronic test equipment that allows observation of constantly changing wave forms, displaying these on a two-dimensional x-y axis. Oscilloscopes are commonly used to display signal wave forms during trouble shooting proceedures, and among other things, can help to determine if the amplifier stages in your rig are operating in a linear manner. Frank Allen, KA1QW, will talk about some of the basics and his experiences using an oscilloscope in the shack. This month's meeting will be held in the "Fish Bowl" room at the Gorham Recreation Department, beginning at 7PM. Join us Thursday, April 11th, as we'll take a closer look at and revise rules for a proposed HF contest to be held in the fall. The basic premise of the contest is to promote amateur activity on the HF bands, and encourage stations outside of Maine to work as many ham stations as they can in each of the 16 Maine counties. Multipliers would be determined by the number of counties worked on each band. Join us Thursday, March 14th, as we'll be watching a film about the famous FO0AAA DXpedition to Clipperton Island, which took place in the spring of 2000. Filmed by James Brooks, 9V1YC, it tells the story of the DXpedition to one of the world's most remote and mysterious islands, with a chilling history of shipwreck and intrigue. This movie is also timely, as it comes while a current Dxpedition to Clipperton Island is taking place, (the TX5K DXpedition). The effort that the FO0AAA story chronicles is similar in many respects. Join us Thursday, February 14th, as we'll discuss what we learned during the 2 Meter FM Simplex Challenge and continue work on our projects, including the CW oscillators that we began last month. If you've completed yours, then use this tme to show off what you've made or work on something new. The meeting will be held in the "Fish Bowl" room at the Gorham Recreation Department, beginning at 7PM. Join us Thursday, January 10th, as we'll discuss the upcoming 2 Meter FM Simplex Challenge and begin our next project, which is a simple device that can be used with any handheld tranceiver to send modulated CW. It's basically an audio oscillator and keying circuit which acts as an interface between a cw key and a handheld radio. Click here to view detailed instructions. If you're interested in building one, please contact Tim Watson KB1HNZ. A limited number of kits will be available for $25 - so reserve yours now. The meeting will be held in the "Fish Bowl" room at the Gorham Recreation Department, beginning at 7PM. The WS1SM team will once again take part in Jamboree on the Air. This year's event will be held at the Maine Maritime Museum on Saturday, October 20th. JOTA is an event held annually since 1958, in which Boys and Girls Scouts and Guides from all over the world speak to each other be means of amateur radio. Millions of Scouts have met each other on the air through this event, and in many cases JOTA is their first experience with ham radio. Join us on Saturday, September 22nd at the Saco Emergency Preparedness Fair, where we'll have a table display and demonstrate amateur radio to the public. The Fair will take place from 1-4 PM at the Church of Jesus Christ of Latter-Day Saints, located on 15 Smith Lane, in Saco. Special thanks to Paul Courchene KJ6JBH, for inviting us. This year the WS1SM team will activate Wood Island Lighthouse for International Lighthouse and Lightship Weekend, held on August 19th. ILLW is a worldwide event, in its 15th year. With over 250 lighthouses and lightships already registered, this year's event could be the best ever. Wood Island Lighthouse will be number US0141 in ILLW and also qualifies for IOTA as NA137. WS1SM be participating in our 2nd Field Day, on the weekend of June 23-24, at Wassamki Springs Campground, located at 56 Saco Street, in Scarborough. The event will begin at 2 PM on the 23rd and last for 27 hours. This year we'll be operating in the 2A category, with radios running on 100% battery power. As always, Field Day is open to the public. If you're interested in seeing ham radio in action, feel free to stop by for a demonstration. The town of Gorham celebrates its founding with a weekend of fun, rides, and festivities on Friday, May 25th and Saturday, May 26th. The events will take place next to Narragansett School, off of Chick Drive. To help celebrate the occasion, WSSM will set up an information booth and operate a special event station. For more information about the Gorham Founder's Festival, including directions and hours, please click here . Join us at December's meeting as we'll take a look at Anderson Powerpole connectors, which have become the standard quick-disconnect system for many applications, including the medical, environmental, electronics and telecommunications industries. The lure of Powerpoles is their ease of use, and their ability to handle high amperage in a safe and efficient manner. We'll take a look at the tools required, and the different types available for the radio amateur. The meeting will be held at the Gorham Recreation Department, which is most easily accessed from Ballpark Road, beginning at 7PM. Join us at November's meeting as Roger Pience N1XP, will teach us how to build an audio oscillator for CW practice, and Thom Watson W1WMG will present materials about Earthquakes in Maine and how to prepare for one. This may especially interest those who experienced the most recent quake that was felt throughout Southern Maine last month. The meeting will be held at the Gorham Recreation Department, which is most easily accessed from Ballpark Road, beginning at 7PM. September is our Annual Business Meeting, including officer elections. We'll use this time to complete the yearly report to the ARRL and make updates where needed. For a topic, we'll be looking at the image manipulation software called GIMP, to learn how to use it to create custom QSL cards. GIMP is a free program, and can be downloaded here. The meeting will be held at Wassamki Springs Campground from 7PM - 9PM on Thursday, September 13th. August's Topic: Building "Antenna Launchers"
During August's meeting, we'll be working on a project, building several antenna launchers, similar in design to the one that Steve Freeman K1MV, demonstrated for us on Field Day. These pneumatic launchers will be constructed of high grade PVC and will be complete except for the reels, which can be added later, depending on preference. When these are complete, photos and plans will be added to the Projects page for future reference. July's meeting will be at the Wassamki Springs Campground, located on 56 Saco Street, in Scarborough. (Thursday, July 12, from 7PM - 9PM). For this month, Frank Allen KA1QW, will describe the manufacturing process of Tantalum Capacitors. Tantalum is known to have high capacitance per volume, has lower equivalent series resistance, and has a higher operating temperature than most other electrolytic capacitors. For June, we'll begin a few projects for Field Day, including building band pass filters for the HF bands that we'll operate, and also take some time to become familiar with the N3FJP logging software that we plan on using. The meeting will be held at the Wassamki Springs Campground, located on 56 Saco Street, in Scarborough. (Thursday, June 14 from 7PM - 9PM). Join us in May at the Gorham Recreation Department (Thursday, May 10th from 7PM-9PM), as we discuss preparations for Field Day and the Gorham Founder's Festival. We'll talk about logistics, who's going to bring what, set up, and operating times. Charlie W1CPS mentioned that the Hillock Family at Wassamki Springs Campground will allow us to use their facility again this year. Come prepared with your suggestions and ideas about either event. March's Topic: Movie Night - "Desecheo Island DXPedition 2009"
March's topic is movie night. We'll watch a film about K5D's famous DXpedition to Desecheo Island, which is part of the Carribean National Wildlife Refuge Complex. K5D's Desecheo was chosen as co-dxpedition of the year for 2008/2009 by the Southwest Ohio DX Association. They logged 115,787 in the short time they were there.The meeting will take place at the Gorham Recreation Department on Thursday, March 8th, from 7PM-9PM. For those of you who didn't notice, February's topic actually is the same as last month's, as it was postponed due to a snow storm. So, join us on the 9th, from 7PM - 9PM at the Gorham Recreation Department, as Roger Pience N1XP, will share his expertise on soldering. Soldering is a handy skill for any amateur who is interested in antenna construction, kit-building, restoration, or making repairs. Join us for our monthly meeting at the Gorham Recreation Department on Thursday, January 12, from 7PM-9PM. The topic will be "Soldering." Special guest, Roger Pience, (N1XP), will share some of his expertise on the craft, which is an essential skill for kit-building, restoration, or even just making repairs. Join us on December 8th as special guest, Roger Pience, N1XP, will talk about feedlines. Feedlines come in several varieties and offer different advantages depending on their use. This is your opportunity to ask questions and discuss some of your own experiences with feedlines. The meeting will be held at the Gorham Recreation Department, December 8th, from 7PM-9PM. Join us Sunday, November 6th for a mountain topping expedition to Bradbury Mountain State Park, located in Pownal, Maine. We plan on meeting at 8 AM at Cole Farms (Route 100 in Gray) for breakfast before setting off to the mountain. As this is in November, its a good idea to dress in layers, and also wear a good pair of hiking shoes! For more information about Bradbury Mountain state park, including fees, click here. 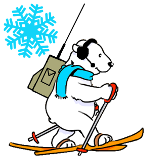 The Wireless Society of Southern Maine will join Boy Scout Troop 648 to operate a Jamboree on the Air (JOTA) station on October 15th at Camp Bomazeen, in North Belgrade, Maine. JOTA is a worldwide event designed to introduce Boy Scouts to amateur radio and enable them to talk to other scouts participating in the event. The Wireless Society of Southern Maine will take part in the International Lighthouse and Lightship weekend, on Sunday, August 21st, operating from Pemaquid Lighthouse in Bristol, Maine. We'll be operating on the 20 and 40 meter bands during the day. Setup will begin around 8:30 AM, and we're planning to operate between 9AM and 4PM, wx permitting. A special QSL card will be available to anyone who successfully makes contact with WS1SM durning the event. The July 7th get-together of the Wireless Society of Southern Maine will feature a program by Frank Krizan, (KR1ZAN) entitled "Working the Easy Sats". This program will be fast paced and provide you with the basics of what equipment and knowledge you need in order to make an FM voice radio contact on one of the Low Earth Orbit (LEO) amateur radio satellites. "Communicating using amateur radio satellites is a fun, exciting and challenging aspect of our great hobby," says Krizan. "If you can communicate on local repeaters you have all or part of the equipment you need to talk over the "Easy Sats". I'll also discuss communicating with the International Space Station (ISS). It's a thrill to talk with an astronaut -- in orbit!" The meeting will take place from 7 to 9 p.m. in the Banquet Hall at Wassamki Springs Campground. ANOTHER REMINDER: The WSSM will also meet Thurs. June 30th, from 7 to 9 p.m. at Wassamki Springs. It's our general summertime open format with the exception that we will be finalizing our Field Day report and reviewing our 2011 FD effort. WSSM's first Field Day will be held at the Wassamki Springs Campground in Scarbourough. We'd like to offer our gratitude to the Hillock family for providing us a great place to set up our station and share the hobby with the community. Field Day is the single most popular on-air event held annually in the US and Canada. Each year over 35,000 amateurs gather with their clubs and friends, or operate individually. Some treat it as a contest, while others just enjoy the opportunity to practice their emergency response capabilities. It is a time when many aspects of amateur radio come together, and its a great way to highlight our many roles to the public, media, and elected officials. The town of Gorham celebrates the 275th anniversary of its founding with a weekend of fun, rides, and history tours. The events take place at the Narragansett school on Main Street, Memorial Day weekend, May 27-30. To help celebrate the occasion, WSSM will set up and operate a special event station during the festival. For more information on the Gorham Founder's Festival, please click here to visit the event website. The Wireless Society of Southern Maine is sponsoring a SKYWARN® training session, to be held Thursday, May 5th from 7:00 PM - 9:00 PM at the Gorham Recreation Department. Join us at the Gorham Recreation Department as we take part in Kid's Day. On January 2nd, hundreds of young people throughout the country will be chatting with other kids over the airwaves using amateur radio. Now in its 15th year, Kid's Day is sponsored by the ARRL - the national association for amateur radio. 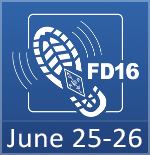 Our club will offer a hands-on demonstration of HF operating, D-STAR, and CW. The event will run from 1PM-7PM at the Gorham Recreation Department, located on 75 South Street, Gorham. For more information, or directions, please contact Tim Watson (KB1HNZ) at 207-839-0402, or send an email. Join us on December 8th as special guest, Roger Pience, N1XP, will talk about feedlines. Feedlines come in several varieties and offer different advantages depending on their use. This is your opportunity to ask questions and discuss some of your own experiences with feedlines. The meeting will be held at the Gorham Recreation Department, December 8th, from 7PM-9PM. Click here to download Roger's Feedline Presentation. On November 10th, Doug Grant (K1DG), will be joining us to discuss the World Radiosport Team Championship, and how our club can become involved. WRTC 2014 is held every four years and consists of about 50 two-person teams of amateur radio operators competing in a test of operating skill. Unlike most on-the-air competitions, all stations are required to use identical antennas from the same geographic region, which according to the WRTC "eliminates all variables except operating ability." The meeting will be held at the Gorham Recreation Department from 7PM - 9PM. W2VMX article: "Try the FMT"
Developed in the 1980's by Bob Bruninga, (WB4APR), APRS is a digital mode which uses amateur radio to transmit position reports, weather reports, and messages between users. Frank Krizan, (KR1ZAN), will help us take a closer look at how APRS works, and what type of equipment and software is required to get started. September's meeting will be held at the Gorham Recreation Department, in the "Multi-Purpose Room" from 7PM-9PM. August's roundtable topic will be radio direction finding... We'll look at some of the equipment needed, (some of which can be homebrewed), and try it out first hand within the campground. The process of learning how to track down a signal is a valuable excercise for search and rescue, and it has also evolved into an international sport. Take a look at the links below to learn more about this aspect of the hobby. The next meeting will be held on July 14th at the Wassamki Springs Campground, from 7PM - 9PM. For July's meeting, we'll discuss how to register and use the ARRL's Logbook of the World. The process is a bit complicated, so we'll take a look at it step by step and discuss some of the benefits of using LOTW. If you're interested, try registering before the July meeting to get the process started, and also so you can help others during the roundtable part of the discussion. On June 9th we'll be meeting at the Wassamki Springs Campground for the first time this summer. The campground is located on Saco Street in Scarborough. The roundtable topic will focus on QSL'ing. This is a great opportunity to show off some of your best QSL's and also to discuss some of the best methods of organizing them, how to create your own, how to use bureaus and what's the best was to master the international postal system. Join us for the May meeting for Field Day and Founder's Festival preparation. We'll discuss logistics and what to bring, as well as technical set up. Come prepared with your suggestions and ideas about either event. April's roundtable topic will be Traffic Handling, and the National Traffic System. We'll look at how to send a message using the standard ARRL Radiogram. We'll also explore other message forms used for emergency communications, and look into some of the protocols involved in composing and receiving a message. The meeting will be April 14th at the Gorham Recreation Department. February's Topic: Movie Night - "Peter I Island DXPedition"
Join us February 10th at the Gorham Recreation Department for our regular meeting. This month will be "Movie Night", featuring a film about the famous 3Y0X Peter I Island DX Pedition of 2006, considered by many to be the DX Pedition of the decade. Also, we'll discuss some upcoming events, such as a possible SKYWARN class and a special event station commemorating the 275th anniversary of the founding of the town of Gorham. Morse Code, or "CW," is the oldest form of radio communication, and it's still popular today. We'll explore some of the techniques involved, as well as the different equipment hams use to make CW contacts. Please click here for more information about the history, advantages, and unique characteristics of this mode. December's roundtable topic should be fun for everyone. Whether you're a seasoned contester, or never joined the fray, here's your chance to polish up that story or ask a few questions of someone who has. One of the interesting aspects of contesting is that, although the basic structure is often similar, the modes, bands, and exchanges, as well as the purpose of each contest varies. A secondary discussion will be about our upcoming participation in ARRL's Kids Day. Have you ever wondered if you could access the internet from a ham radio, or if you could communicate with a friend in another city or country using a simple handy-talkie? How about sending a text message, or knowing the call sign of who was on the air right now? With D-STAR you can do all of these things. We will explore this technology as part of November's meeting, (which will be held November 18th at the Gorham Recreation Department). D-STAR stands for "Digital Smart Technology for Amateur Radio." It is an open standard, digital communication protocol established by JARL (Japan Amateur Radio League), and offers many applications, including digital voice, messaging, and GPS. October's topic may be a way of life for most hams, but for those just getting started, we wanted to introduce the idea, and also look into some of the more technical aspects of hunting for distant stations, such as knowing where to look for "dx spots," news, bulletins, and announcements for special events and dx'peditions, as well as some of the tricks of breaking through a pileup and working that rare new entity. Click here to download a copy of the DX'ers Code. The September meeting was the Annual Business Meeting, so the roundtable was shortened a little. But this didn't prevent us from brainstorming about how to attract new people to the hobby. There are so many resources available, including the ARRL, and several others who are dedicated to getting the word out, and educating people on how to get involved. We created the page, About Ham Radio, just for this purpose, and we're making it a club priority to offer courses and test sessions to those who are interested.